City of Dreams Manila has become a destination of choice for several locals and tourists alike with its top-class hotel amenities. 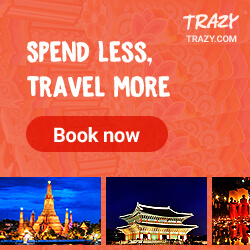 Aside from the striking suites and the popular DreamPlay, City of Dreams is also known for its great selection of restaurants. And a few weeks back, I was able to visit Red Ginger. 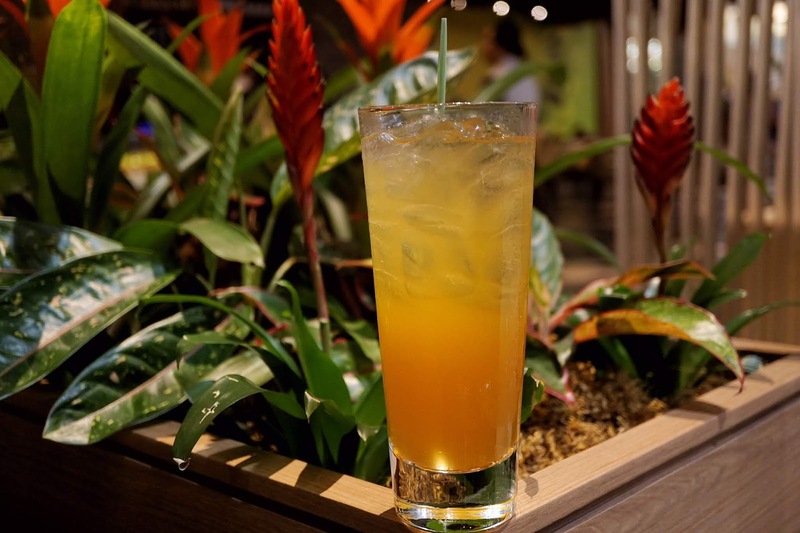 A trendy Southeast Asian restaurant tucked inside City of Dreams Manila, Red Ginger is a melting pot of cuisines from different neighboring countries. 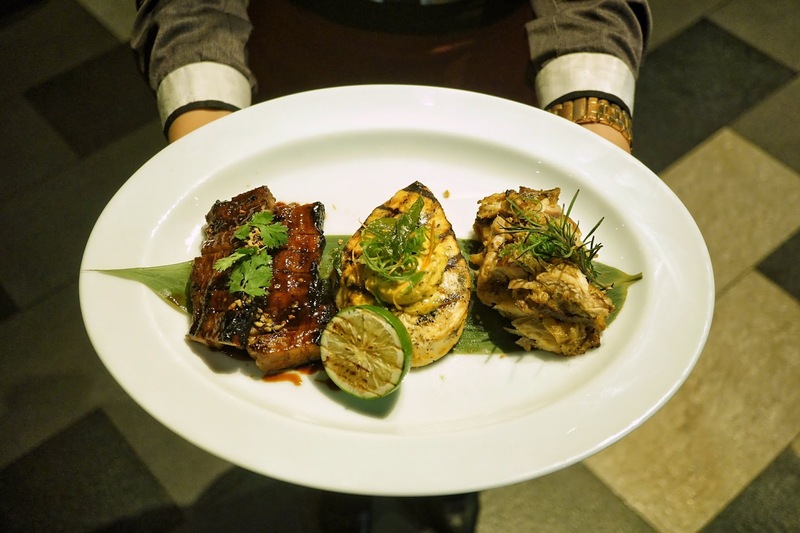 From Thai to Malaysian to our very own Filipino dishes, Red Ginger offers it all. 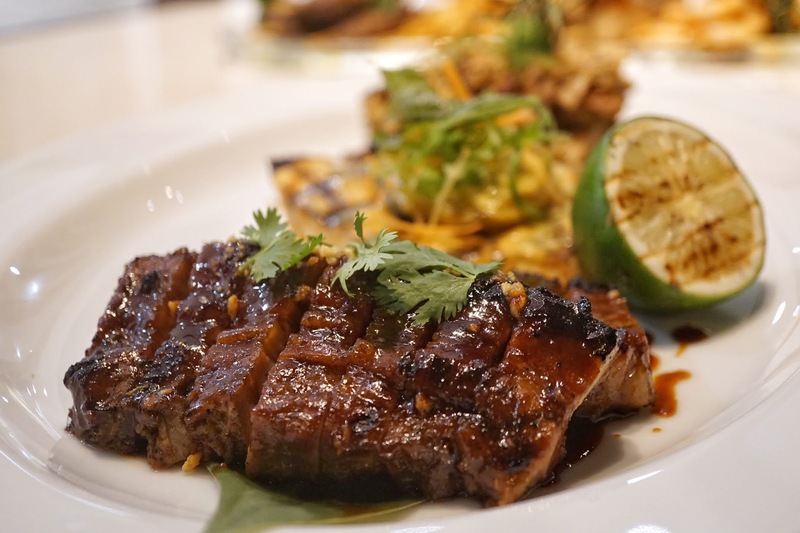 I had the pleasure to sample its VIP Lunch Menu which highlights its bestsellers that are perfect for sharing. 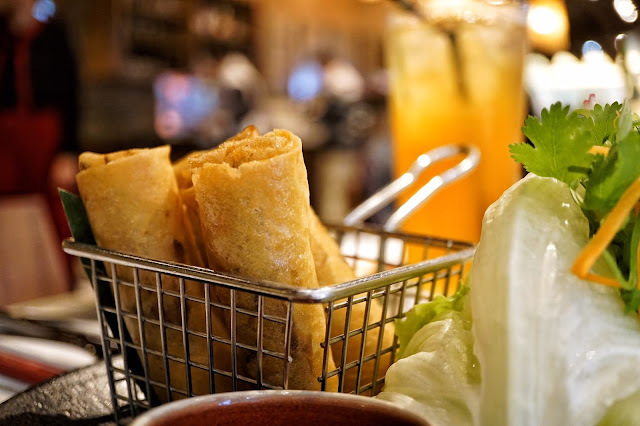 We started off with Popiah (PHP420) which I first thought was your usual fried spring rolls. But this one is stuffed with fried barbecue duck instead of the typical pork or shrimp. 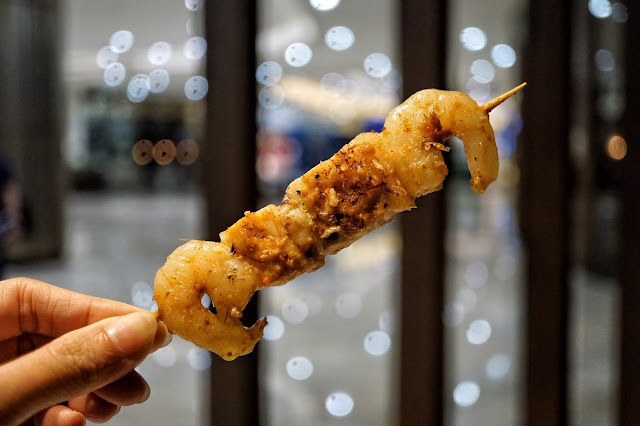 Scrumptious in every bite, this is best enjoyed with iceberg lettuce for that extra crunch and refreshing taste and dip it in chili garlic dip for an extra burst of flavor. Vietnamese "Caesar" Salad (PHP270) was yet another dish that surprised me. 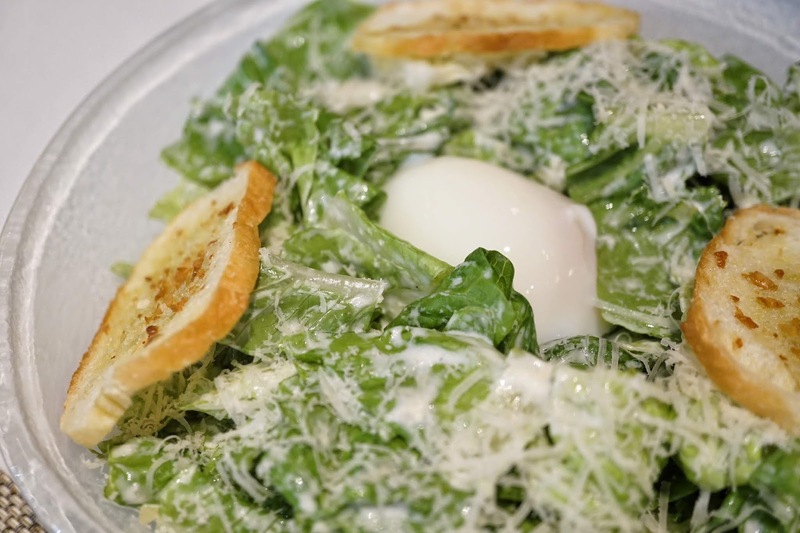 Oozing with Parmesan flavor, I fell in love with this healthy bowl of greens. The poached egg balanced the saltiness of Parmesan and added a lovely silky texture to it. Just make sure to eat it right away to enjoy the greens crisp. 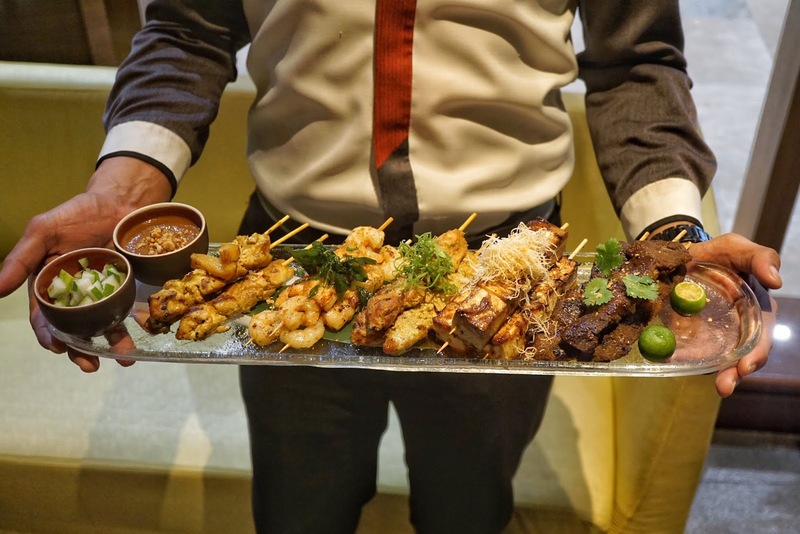 The mouthwatering Satay Platter (PHP950) was served next and it was an impressive plate filled with coriander spiced beef satay, coconut glazed pork satay, prawn and salmon satay, tofu satay and chicken satay. Each one was heavenly but my favorites would be chicken and tofu satay. You don't even need to put peanut sauce to enjoy it. 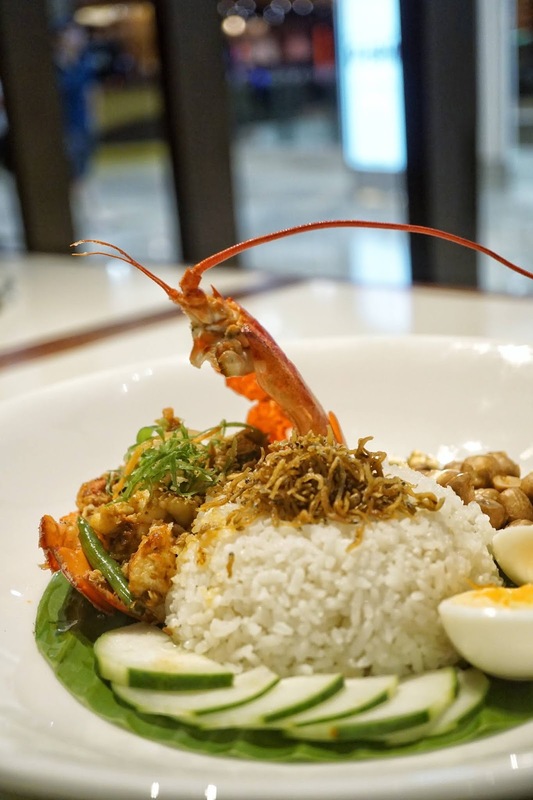 If you want something spicy, go for Nasi Lemak Lobster (PHP1,380). 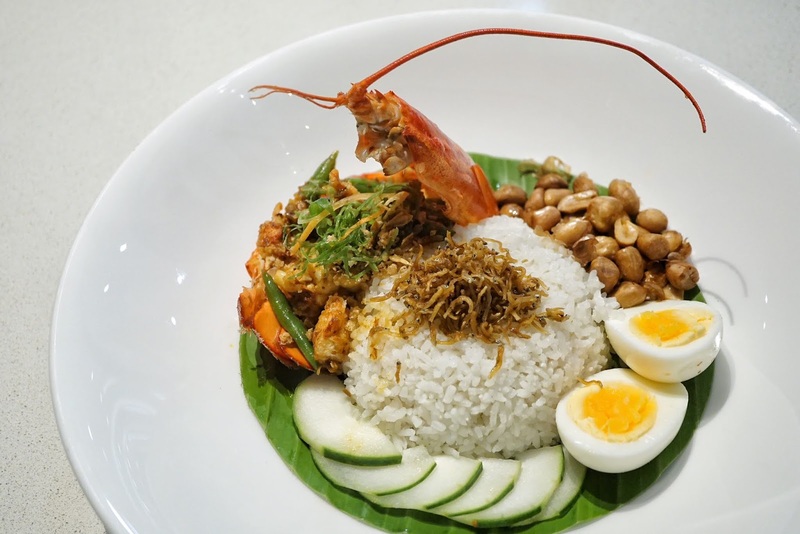 Paired with sambal, this hot dish will definitely tickle heat lovers' taste buds. The spicy lobster chunks went beautifully well with the refreshing cucumber slices, crunchy peanuts, hard boiled egg, coconut fried rice and crisp fried anchovies. Though serious spicy food lovers didn't find this dish hot enough, it was a bit too spicy for my liking. If Nasi Lemak Lobster is not enough for you, go for Char Kway Teow (PHP440) too. 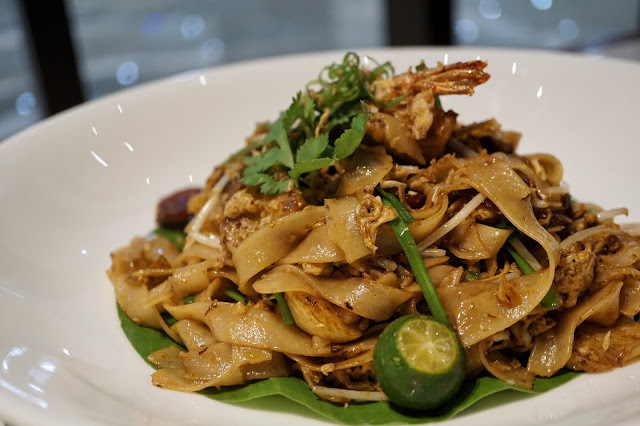 It may look like phad thai at first glance but one bite of this dish would make you think otherwise. The sambal belachan gave this dish a fiery heat. But it was the addictive kind that would make you want more. 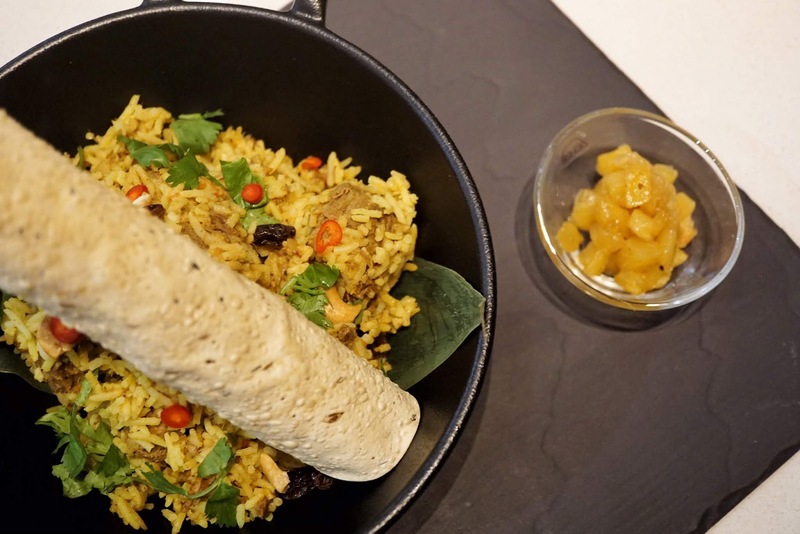 Another dish worth trying is Red Ginger's Mamak Style Lamb Biryani (PHP620). 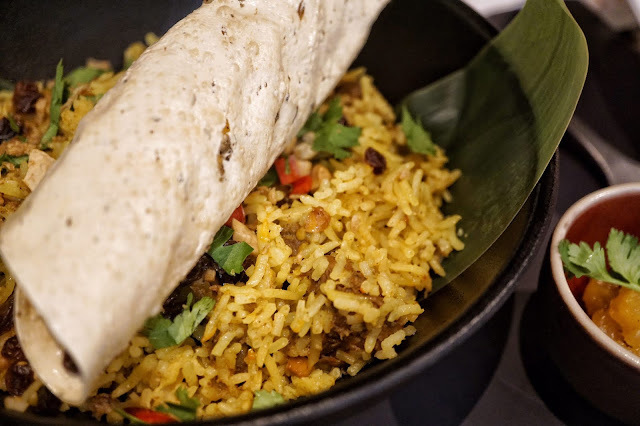 This fragrant dish made with spiced Basmati rice, tender lamb chunks, papadam and pineapple was delightful. The lamb chunks were succulent and not gamy at all and the papadam gave the dish crunch. But if you prefer grilled meats, you'd definitely enjoy the savory dishes from the Charcoal Grill platter. 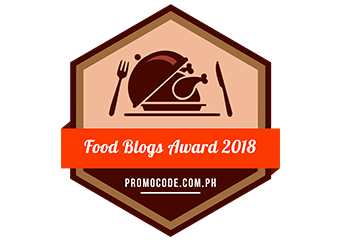 We were served Lemongrass & Rosemary Chicken (PHP420, a la carte), Spiced Blue Marlin Fillet with Assam Butter (PHP780, a la carte) and Honey & Tamarind Glazed Pork Belly (PHP460, a la carte). I'm a big fan of rosemary chicken but what won me over was the tender glazed pork belly. It had the right level of fatness and it was not cloying at all! 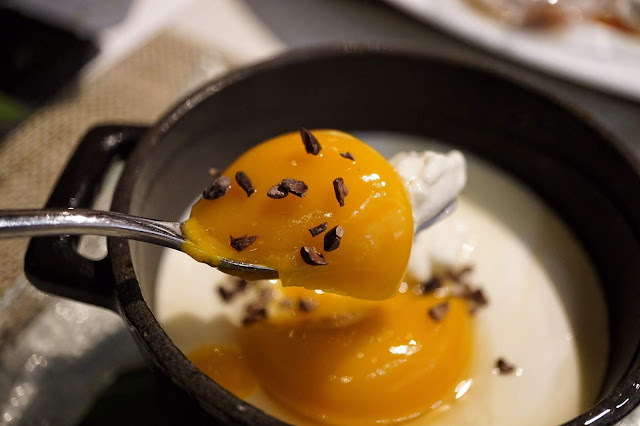 and Mango Sticky Rice (PHP250, a la carte). The Iced Avocado Condensada reminds me of those summer days when I was young. Sweet and milky, it was a lovely dessert to have after a big feast. 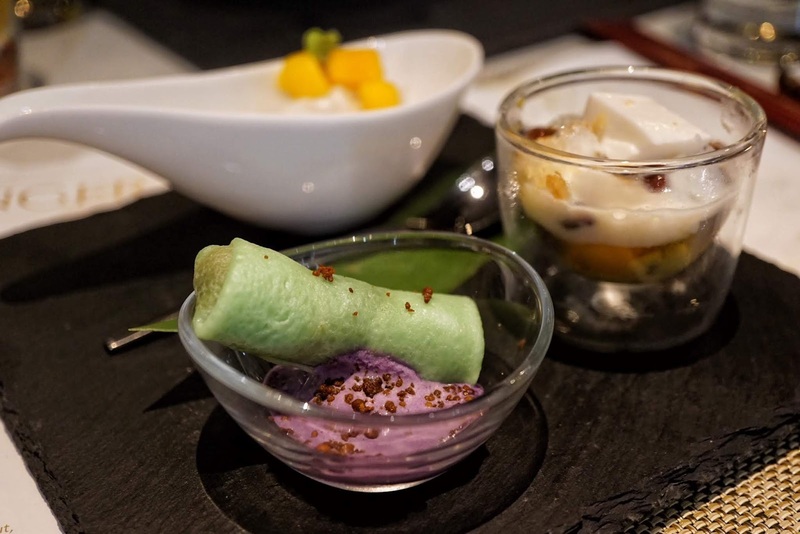 The Pandan Coconut Crepe Roll was lovely too but it was the Mango Sticky Rice that stood out the most for me. I might be biased though as I really like this treat. It would have been nicer though if the mango's a bit sweeter. I was excited to try The Egg (PHP240) as it was hailed as one of the best desserts this 2018. Made to look like an egg, it is made of mango (for yolk) and custard cream (for egg white). I loved that they also put dark chocolate niblets to serve as pepper. Smooth and silky, this dessert is an excellent choice to cap the meal. It had the perfect level of sweetness and definitely worthy to be recognized as one of the best. Overall, it was a pleasant lunch. I found some favorites that I would go back for. 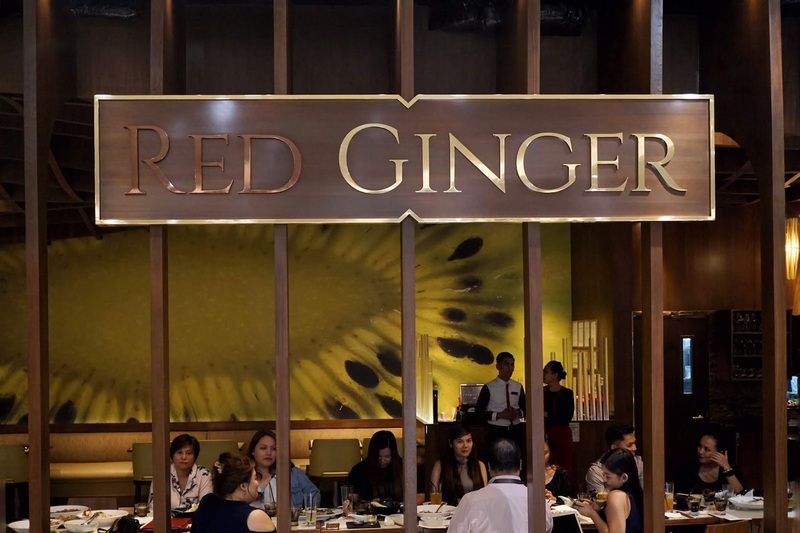 Needless to say, see you again, Red Ginger! Red Ginger is located at Upper Ground Floor, City of Dreams Manila, Aseana Boulevard corner Macapagal Avenue, Entertainment City, Parañaque City.